Anxiety affects an estimated 5-19% of all adolescents, with around 2-5% of children under the age of 12 impacted. 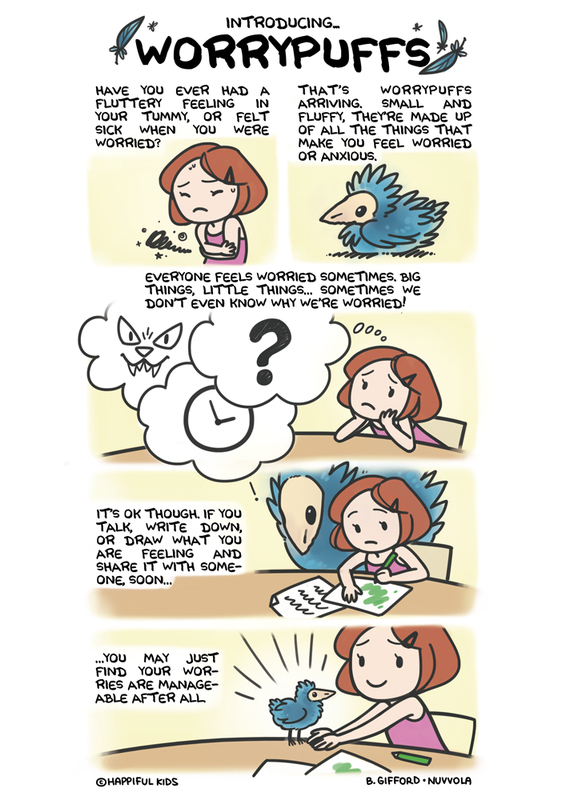 One in six will experience anxiety during their lives. As part of our mission to create a happier, healthier society, we have been working on a range of free, easy to use resources to help parents, teachers, and primary school aged children. Our aim is to help families learn more about positive mental health, common childhood mental health and wellbeing conditions, and how they can tackle them. Our first series of resources focus on anxiety, worries, and mindfulness. Three unique versions available, each designed for parents, teachers, or children. 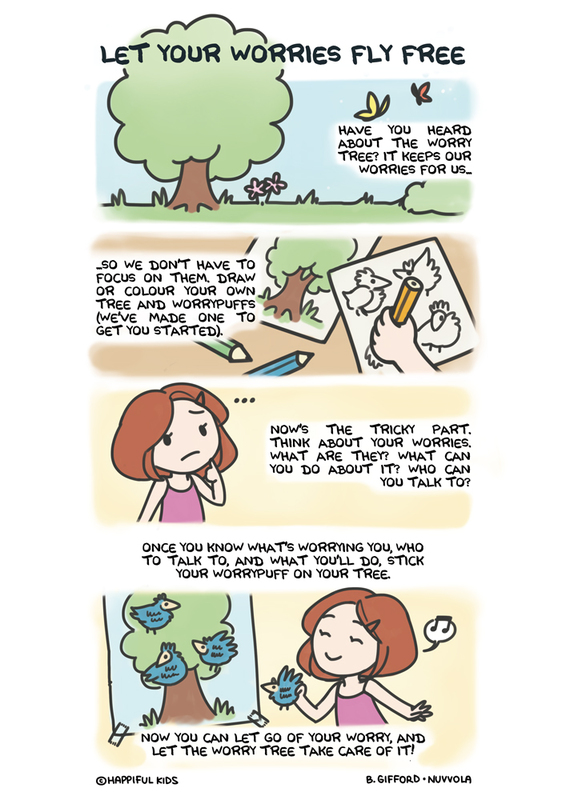 Based on the traditional Worry Tree activity with our cute, original Worrypuffs used to help engage children. This can be used to get kids thinking and talking about their worries, fears, and anxieties, encouraging them to talk and find ways to tackle their worries. Our worry tree can also be used as a mindful colouring exercise for children or makes a great classroom activity to encourage kids to share their worries and work on solutions together. 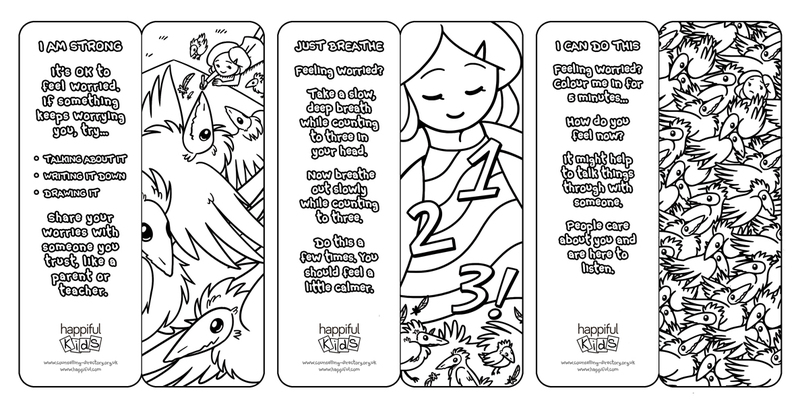 A simple, straightforward way to help introduce children tomindfulness, our mindful colouring bookmarks each come with a simple, positive message and straight-forward activity or piece of advice to help them tackle their anxiety on one side, with a cute Worrypuff pattern or picture on the reverse. Just download, print, and fold. 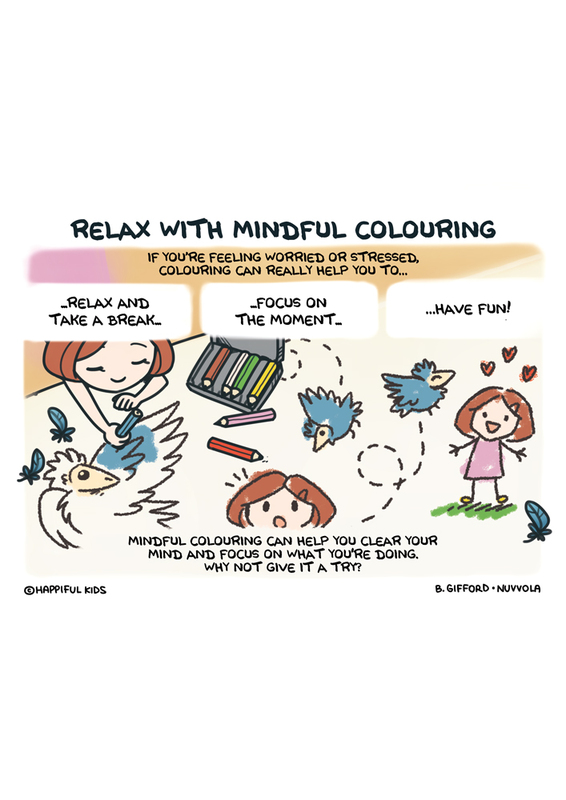 Together with Happiful Kids, we have also created a series of short comic strips to help explain anxiety, mindful colouring, and worry trees to young children. 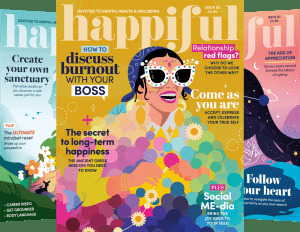 Over at Happiful Magazine, we have also created articles on must-read books for anxious kids, as well as can mindful colouring help calm anxious kids. For the full range of free anxiety resources for young children, check out our depression and anxiety in children page.